Sitting in the wrong chair all day can hurt more than your productivity. A poor computer chair can cause back pain, neck stiffness and leg pains. You can even have headaches and eyestrain if you use an office chair that does not fit your body or the type of work you do. Using modern computer chairs or ergonomic chairs can make a world of difference. You sit comfortably, up higher and closer to the computer so you do not hunch over all day while working or squint to see the computer monitor. 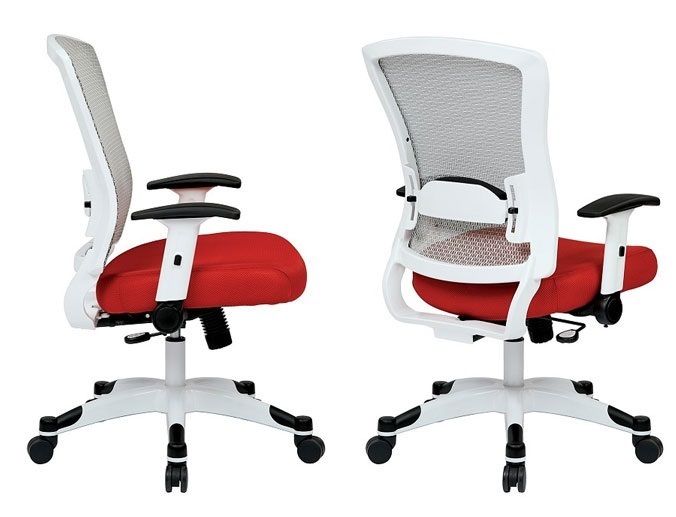 Your overall workflow increases with the comfort of thick padding on the seats and backs. Modern computer chairs and task chairs have adjustable lumbar support and arm height adjustments. For even better ergonomics, some chairs come with adjustable arm width and seat forward or back control. You have complete position controls for keeping an upright healthy posture while using a mouse, a keyboard or voice recognition. Enjoy task chairs that roll freely, giving you complete mobility in your workspace. Replace your old, uncomfortable office and computer chairs with new modern models and see the change in production and attitude almost immediately. Try a new chair in your office to find out how working without neck and back discomfort nagging you through the day, improves your productivity while keeping your energy level high. Contact us to learn more about our selection of modern computer chairs or to place your order with free shipping today.